Water sourced from glaciers is pure, crisp, and delicious. Derived from rain waters and melted snows, glacial water is naturally filtered through layers and layers of stone and rock, removing impurities and infusing minerals. Glacial water is incredibly sought after, but they are not all equal. 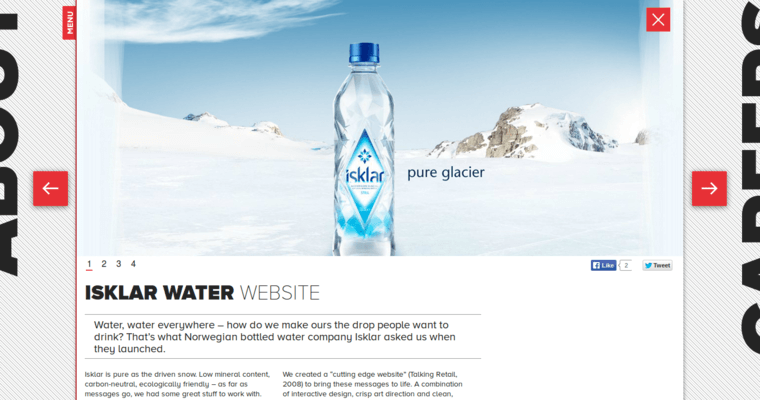 For the best brand of glacial water, reach for Isklar. Sourced from the Folgefonna Glacier of Norway, Isklar is crisp, delicious, and refreshing. Bottled in gorgeous glass bottles, Isklar looks stylish and modern while the taste of the water is kept fresh and clear. Whether you need a bottle of water to take on the go, need to rehydrate after a workout, or want a delicious beverage to enjoy with a meal, reach for Isklar. It has a great taste that will invigorate your taste buds while the healthy properties of the water will make you feel fantastic. Don't settle for lesser water, you'll love Isklar.